If you are a seasoned marketer looking to refresh your passion for the industry, or a “newbie” looking for ways to grow in the industry, this is the program for you. The program is an embodiment of the commitment of the Colorado Chapter of SMPS to assist all A/E/C marketers in their personal growth and professional development. It offers opportunities for entry and senior level professional services marketers to own their career. All prospective mentors and protégés must complete the application form that follows, regardless of previous program participation, and submit it along with a current resume that includes work history, educational background, special skills and interests, and any other relevant biographical information. The information is intended to assist the One2One Committee to match mentor/protégé pairs based upon background and career tracks. 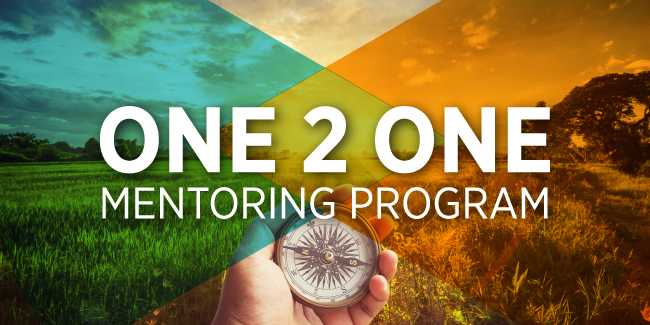 Following the matching process, applicants will receive a reply letting you know if you have been accepted into the One2One Program and next steps. Each pair is required to meet face to face on a monthly basis individually, and to participate in four structured group training sessions scheduled from September October 2018 through May 2019. The sessions feature a curriculum of speakers and workshops designed to facilitate personal and career development for both mentors and protégés. These sessions will revolve around a specific topic and provide opportunity for learning and group discussion. Please note – the group sessions are typically on Fridays at a time and central location To Be Determined, but we will solidify this information with our selected groups. Protégés will be required to pay a $250.00 program participation fee and mentors will be requested to pay a $150 program participation fee by August 31st (date of selection of participants), if your application is accepted. Applicants must commit to attending the following One2One meeting dates shown below. Mentors must be senior-level marketing or business development professionals with a minimum of eight years’ experience at A/E/C industry firms, and be current or past members of SMPS. Marketing professionals who are currently in positions at firms in the A/E/C industry; have a minimum of two years professional experience; and who are current SMPS members are eligible to be protégés. "These great programs really opened my eyes to new possibilities for both my personal and professional life." "The Mentor/Protégé program has provided me with lifelong personal and professional development skills that I would not have learned elsewhere. In the process, close, caring and supportive personal relationships were formed that will continue far after the program ends." "The Mentor/Protégé program has been a great experience for me. Getting to know my protégé and hearing her point of view has not only been rewarding (and fun!) but has given me some new perspectives on marketing. The program has been very well-organized and planned, maintaining momentum throughout the year. For mentors who want to share their expertise and protégés who'd like to learn, this is a valuable experience to share."